from your log or cedar sided home. We can remove even the toughest coatings! removed from your log or cedar home? The science involved in removing an unwanted coating from your deck or log home lies in breaking the coating’s bond with the wood. By doing this correctly, the coating lets go of the wood making it easily removed by rinsing. First, specifically formulated solutions are applied to all areas where an unwanted coating is present. 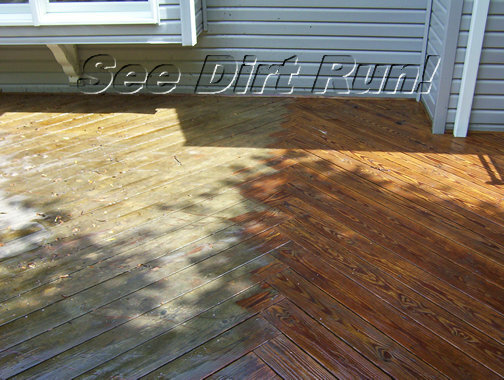 Therefore, once a consistent darkening of the wood is present, a pressure washer is used at reduced pressure to finish this step. However, log home stripping, deck stripping and cedar home stripping are not DIY tasks and require practiced hands and training to achieve the best results. Next, applying a neutralizer or brightener will stop the action of the stripping product. This will bring the wood back to its natural color and pH. Afterwards, a thorough second rinsing completes the removal of any residue from the wood and surrounding areas. It’s important to note that wood should only be exposed to this two step process once in order to remove the coating. Once the second step is completed, repeating the process can cause excessive drying of the wood. 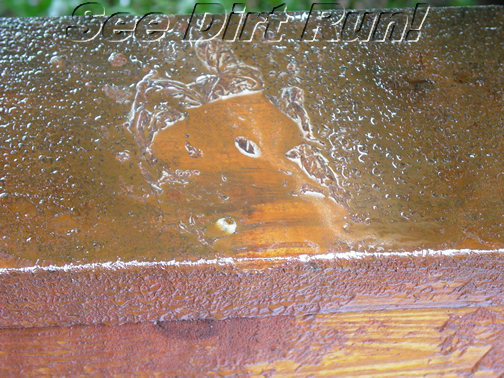 Consequently, those who don’t completely understand wood restoration and how to use pressure washers properly, should not attempt this task. In other words, stripping log homes, cedar home, and decks is not for a novice or weekender. Additionally, the products available in local stores are “consumer strength” and far less effective than contractor grade products. Sadly, the labeled directions are written with broad intentions, and rarely fit a specific situation. Unfortunately, information on different wood species and the way products may react with them is not readily available. Conversely, the number of homeowners requesting professional help to restore decks damaged in DIY attempts has risen significantly. Regrettably, it’s often expensive to restore a failed attempt. 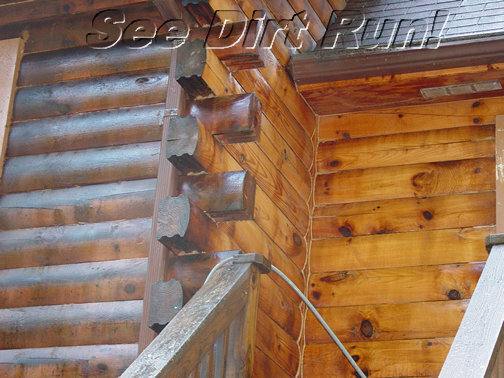 Log home, cedar home and deck stripping will cost you more if we have to undo prior damage. Products such as ABR X-100, Behr, Cabot, Cuprinol (now Deckscapes), CWF/UV, Defy, Menwood, Olympic, Penofin, Perma-Chink, Ready Seal, Sashco, Sikkens, Superdeck, Timberjack, TWP, Wolman, Woodguard, Q8 and more have been successfully removed by See Dirt Run!™. According to our customers, there are an overwhelming number of local companies attempting to perform this service that haven’t been able match this track record. 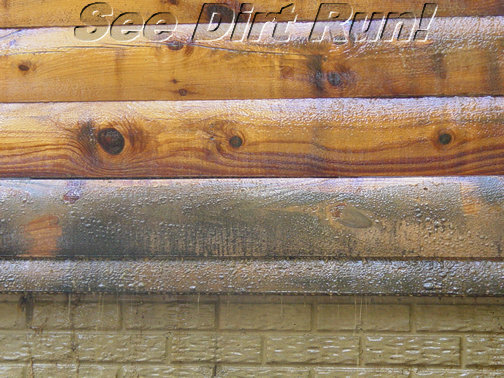 The education and certification received by See Dirt Run!™ Inc. from the PWNA, in conjunction with USDA forestry labs information and research, supports that minimizing wood’s exposure to the stripping process will help it to have a longer life expectancy. Notably, this applies to stripping any wood surface. Installing a product that requires routine maintenance will help your wood to stay protected and last longer. It’s important to note that maintenance cleaning and stripping are not the same thing. Log home, cedar home and deck stripping doesn’t need to be performed each time you clean; in fact, they should not be. Maintenance cleaning is different and gentler process. In this case, its purpose isn’t to remove the coating, but just to clean it for a re-coat. 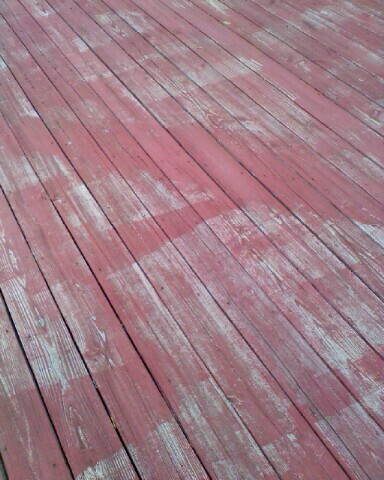 Some companies proclaim the need to subject your deck or wooden home to the stripping process twice in order to accomplish the task correctly. This would be considered novice experience in the field of wood restoration by its peers. Additionally, those who claim to use just water or hot water, bleach or FDA approved acids in their methods may not be aware of the potentially serious drawbacks to any wood species subjected to these processes. The use of hot water, bleach, and high pressure only are inconsistent with the PWNA certification training as suggested by the USDA forest labs and will not accomplish safe wood stripping or even qualified routine cleaning. Although well intended, a lack of education, training, experience, well rounded wood knowledge, and experience will not support what some companies claim to be able to provide. The result to the uninformed consumer is likely to mean more frequent service and a higher cost than should be necessary, along with the potential need for damage reversal measures or wood replacement. If you speak to a company and they cannot properly explain the process of log home stripping, cedar home stripping or deck stripping, then beware. Not everyone can perform this service properly. 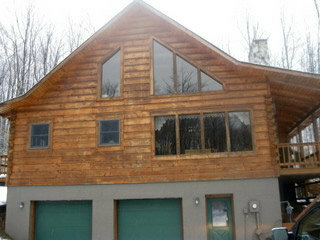 For log homes and cedar homes our service area includes: MD, VA, WV, DE, PA. Other states upon request.